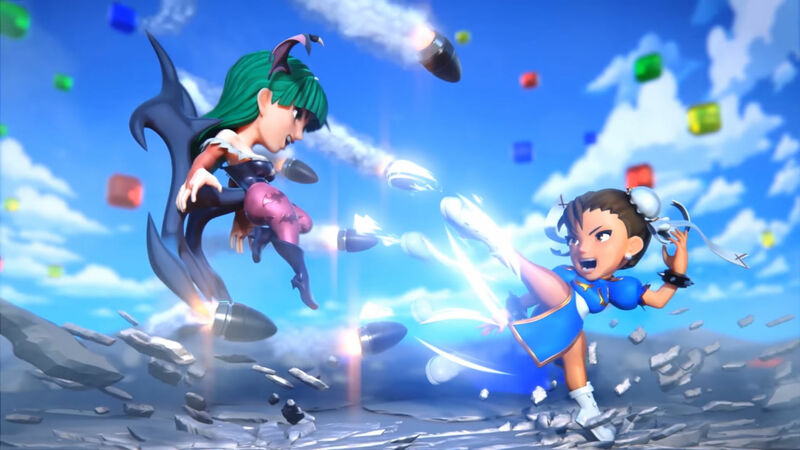 Capcom announced they're bringing back Puzzle Fighter for iOS and Android. The sequel title will feature the classic puzzle gameplay we remember, but with some new twists like two assist characters. You'll be able to use chibi versions of Street Fighter's Ryu, Ken, and Chun-Li, Darkstalkers' Morrigan, Resident Evil's Jill, Mega Man X, Devil May Cry's Dante, and Dead Rising's Frank West and Chuck Greene. There's not much footage beyond this very brief cinematic, but I'm very excited about this. It's one step away from the truly special series, Super Gem Fighter Mini Mix (Pocket Fighter in Japan) and I can't wait to use chibis again. I'm normally not someone who clamors for specific consoles, but I'd definitely see this going over successfully on Nintendo Switch. Regardless, Puzzle Fighter will launch on mobile devices sometime later this year.